You just bought a new house, and that’s so exciting. While you’ve probably been busy filling out paperwork, meeting with lawyers, and signing documents, it’s finally time for the fun stuff. You have complete creative control over what furniture goes into your house, and maybe that scares you. That’s okay, though, because here are a few tips to keep in mind while you’re furniture shopping. Before you pick out any furniture items, you need to know what kind of space you’re working with. If the furniture is too big or too small for the space, then your room won’t look right. 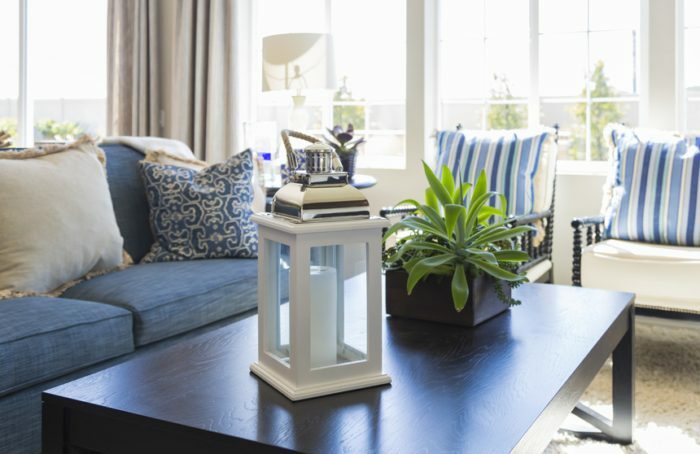 You should pick out furniture that is proportionally appropriate for the space. For example, if your bedroom is 10 feet by 12 feet, you know that a 76-inch-by-80-inch king bed will fit, but it will be really tight, and you probably won’t be able to comfortably fit your dressers, night stands, etc. There is more to furniture than price and looks. When you’re picking out furniture for your home, you have to think about the years to come and how long it will last. The top two factors American consumers expect from their furniture is quality and durability. Wood furniture typically lasts the longest, but it does come at a higher price than other types of furniture. The longevity will also depend on how much wear and tear the item will get, so keep that in mind when you’re shopping. You probably have some kind of theme in mind for your home, or at least for every room. If you want a nautical theme for your bedroom, you should stick to blues, whites, and greys, as well as beige. It also helps to stick with neutral colored furniture so that if you decide to paint your living room or your kitchen, you don’t have to get all new furniture to match. Speaking of changing the style of a room, this might be something you should think about. If you’re someone who likes to change styles on a regular basis, then you might want to pick out furniture that can be versatile. Many furniture pieces can be altered dramatically if you change the finish. Wood can be sanded and restained, and many couches can be reupholstered down the road. The biggest takeaway here is that you want to be thinking about the future when you’re picking out furniture. If you’re someone who changes their mind a lot, make sure you get furniture that can change with your passing fancies, and get furniture that will last a long time. DFW Racks Up Grammy Nominations: Leon Bridges, Kirk Franklin, Kelly Clarkson & More!